Music copyright infringement cases are making headlines once again. At issue this week are Sam Smith’s Grammy-nominated ballad “Stay With Me” and the on-going copyright infringement case involving Robin Thicke, Pharrell Williams and Clifford Harris, Jr.’s “Blurred Lines” and Marvin Gaye’s family. These two cases exemplify the drastically different directions a copyright infringement action can take in the music industry. 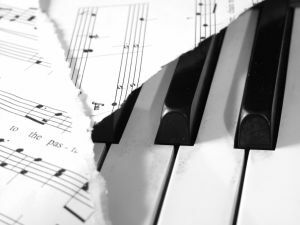 The lyrics and underlying music of a song, known in the music industry as a musical composition, comprise the copyright interest for a musical composition. There is a separate copyright interest in the sound recording, which is the performance of the artist coupled with the work of the producer and sound engineer. In April 2014, vocal artist Sam Smith released “Stay With Me,” with the songwriting credits attributed to himself, James Napier, and William Phillips. “Stay With Me,” which reached the number two spot on Billboard’s Top 100 songs, is a contender for three Grammy awards this February: Song of the Year, Record of the Year, and Best Pop Solo Performance. If “Stay With Me” wins Song of the Year, Smith, Napier and Phillips will each receive a songwriting Grammy. On Monday, January 26, U.S. District Judge John Kronstandt ruled that the lawsuit is limited to whether Gaye’s musical composition was infringed because the only copyright interests that Gaye sufficiently registered with the Copyright Office are those for the music and lyrics of the work, not for his sound recording. Consequently, Judge Kronstandt will not allow sound recordings of “Got To Give It Up” and “Blurred Lines,” the most critical pieces of evidence, to be played for the jury. Judge Kronstandt reasoned that any similarity that the “ordinary observer” might hear in the backup vocals or percussion embodied in the sound recordings is irrelevant because those elements are not found in the sheet music. The jury will have to base their determination of whether copyright infringement occurred solely upon the contents of the sheet music. To accommodate those members of the jury who cannot read sheet music, the compositions will each be played on a keyboard. If you have copyrights you wish to register with the Copyright Office or copyright interests that need to be enforced or protected against, the attorneys at the Paleudis Law Firm, LLC have the experience and expertise necessary to diligently handle all of your copyright needs and apprise you of your rights. To address any of your intellectual property concerns, including those involving copyrights, trademarks and patents, please contact the firm either through our website or at (212) 949-0138 in New York City, (914) 220-8270 in White Plains, or (203) 355-3635 in Stamford, Connecticut.